Daniel LavigneOccupation: Living the Dream! Raised in the beautiful Niagara Peninsula Daniel graduated from Niagara College with diplomas in Business & Computer Science. Daniel’s career began at the Welland General Hospital, where he was soon offered a position as Quality Assurance & Risk Manager, one of, if not the, youngest in the province of Ontario. Daniel also lived in Arizona and California on a three-year working visa. As a matter of fact, after winning the prestigious Mr. North America title in 1992 Daniel was propelled into public speaking roles in Canada and the US. He has made guest appearances on several TV programs, including the Dini Petty Show, Maury Pauvich and Entertainment Tonight. He returned to Canada to start a new career in the field of Computer Technology. He and his wife now call Richmond Hill, Ontario and Playa Del Carmen, Mexico home. Between these two locations, they also travel the world. Daniel genuinely believes that a comprehensive education program must include financial literacy. “Set your goals, make a plan, stay focused and execute it.” Daniel has also mastered the art of negotiating a deal as a real estate investor. He is also a mentor and a speaker. Daniel and Carole proved to be a great team, investing and managing a successful business, while attaining financial freedom. Featured in such magazines as Money Sense and TV programs like TFO Carte de Visite, HGTV, Mexico Life. 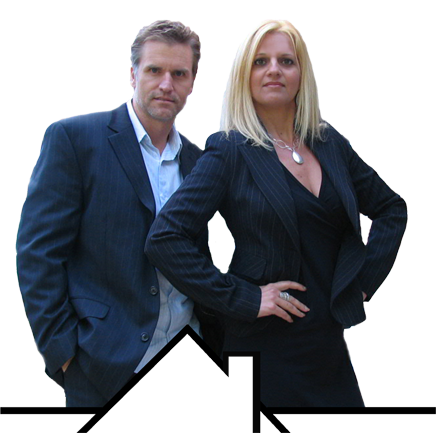 Daniel and Carole are co-founders of online-homes.net and continue investing and living an amazing lifestyle. Carole was born in the rural French county of Prescott-Russell (Clarence Creek) nestled along the Ottawa River. She graduated with honours from the University of Ottawa with degrees in Criminology and Leisure Science. Carole moved to Vancouver, where she completed a certification in Business Communication at Simon Fraser University. After 10 years in Vancouver, she moved to Toronto, Ontario, and completed an executive MBA program sponsored by the Toronto Board of Trade. Carole served as a strategic communications advisor to public service leaders ranging from school boards CEOs to provincial Ministers. Her contribution to the education sector in communication, planning, negotiation, and as an effective lobbyist has been recognized for its strategic value. She began with the desire to make a difference. She has dedicated her passion to the cause of French language minorities across Canada. She has been responsible for communications with the Fédération des francophones de la Colombie-Britannique, Director of Communications with the founding executive team of British Columbia’s first French language school board, Communications Advisor to the Director of one of the largest French language school board located in Toronto and to the Minister of Francophone Affairs. For 6 years, Carole served as Executive Director of the French Catholic School Trustees Association (AFOCSC): a strategic and political lobby group within the education system of Ontario. She has provided training to spokespersons in public relations and has been invited onto numerous TV and radio programs to comment on issues relating to the Francophone community and the education system, including those hosted by the Canadian Broadcasting Corporation (CBC) the Société Radio-Canada (SRC) and the Télévision française de l’Ontario (TFO). Carole has been honoured by the Canadian Association of Communicators in Education for her contribution to that sector.